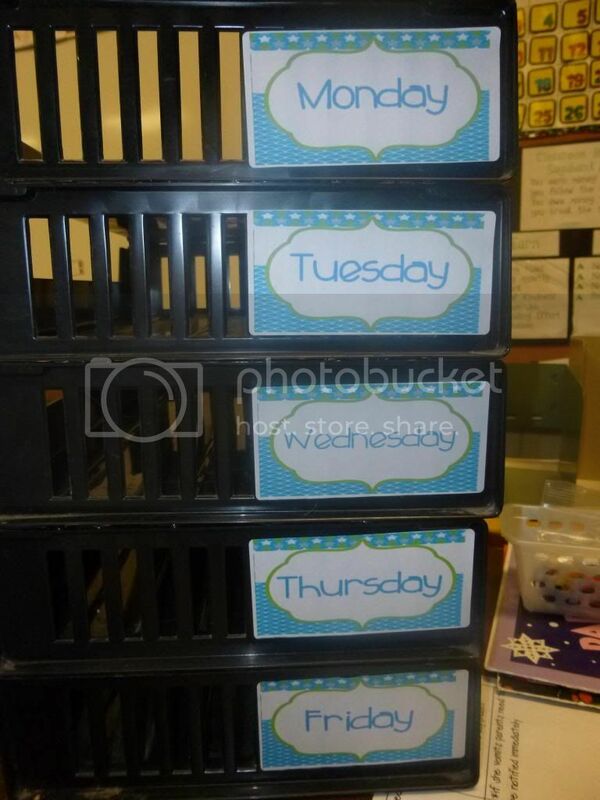 Made it Monday - Classroom Organization!! Happy Monday! 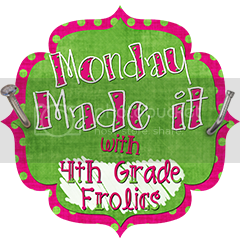 I am linking up with Tara at 4th Grade Frolics for her Made it Monday linky. 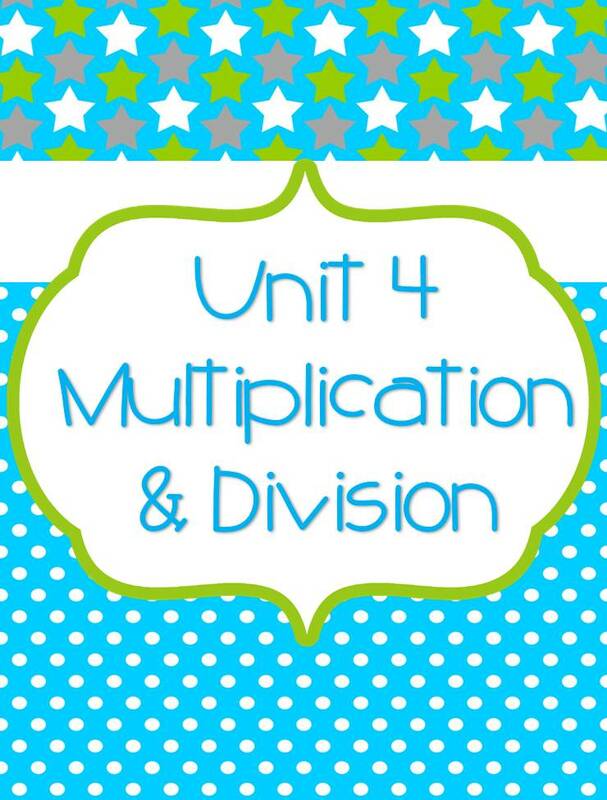 I have been blog stalking Tara for awhile now and when she announced her new color scheme for her classroom I thought to myself, I want a color scheme too. 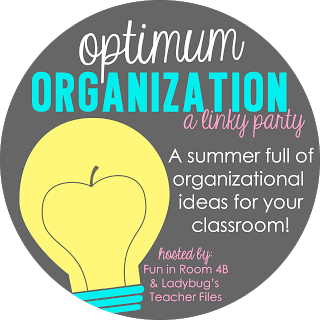 But I didn't just want to copy her color scheme and I wanted to incorporate superheroes into my classroom as well. So I tried and tried to come up with a color scheme that I wanted to use and then a few things happened. One I got a copy of Tara's Just Doin My Job. 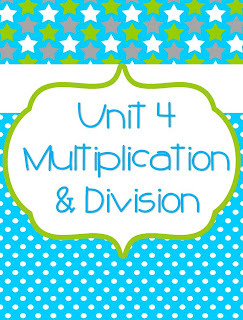 Then I got a copy of her Homework Club Numbers and Headers (blog stalking has it's privileges). Then I realized I OWN the line art of the superhero clipart I love!! So I did it, I totally copied Tara's color scheme. 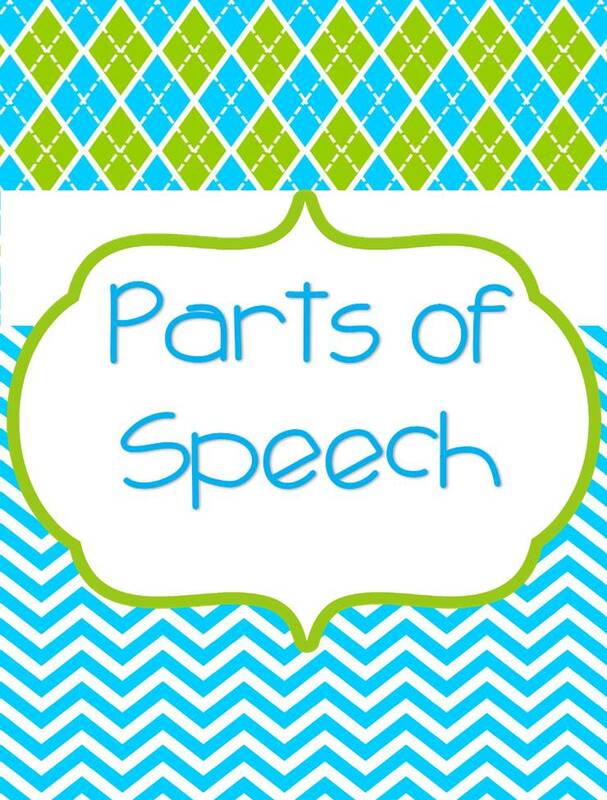 Binder covers. 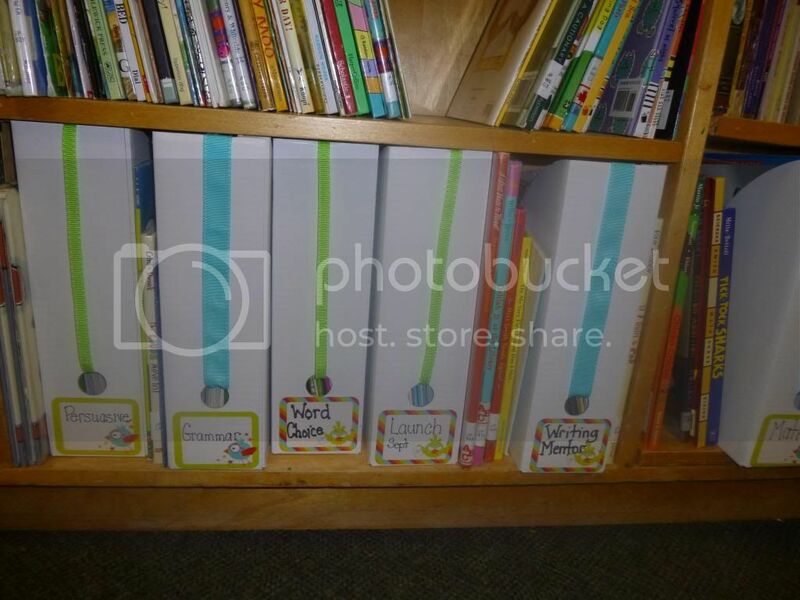 I am in the process of moving all of my files and resources from file folders to binders. I used paper from Ashley Hughes and frames/elements from Megan. Here is how they look so far (I am loving them so far). 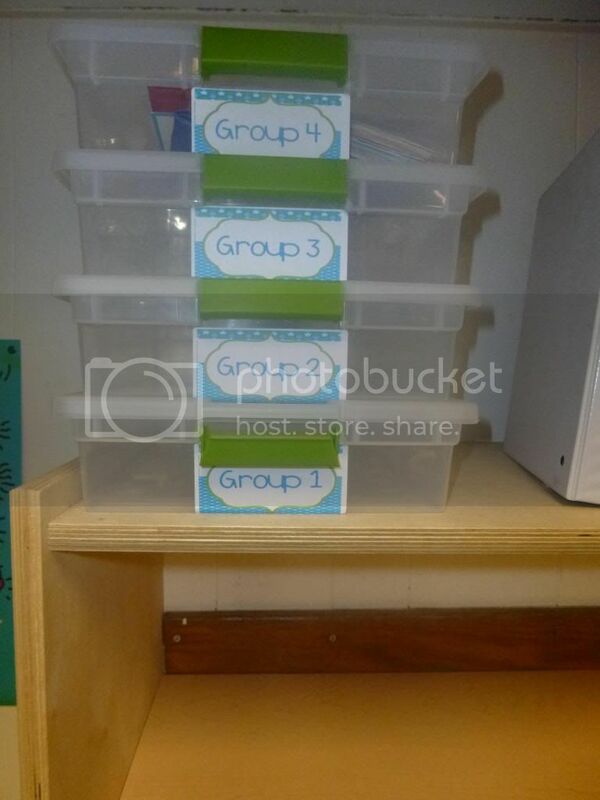 So in addition to loving my binder and bin system that I have been working on I also bought 4 bins to use for group work. I labelled them twice because I'm not sure if I want to call them by bin number and group number. 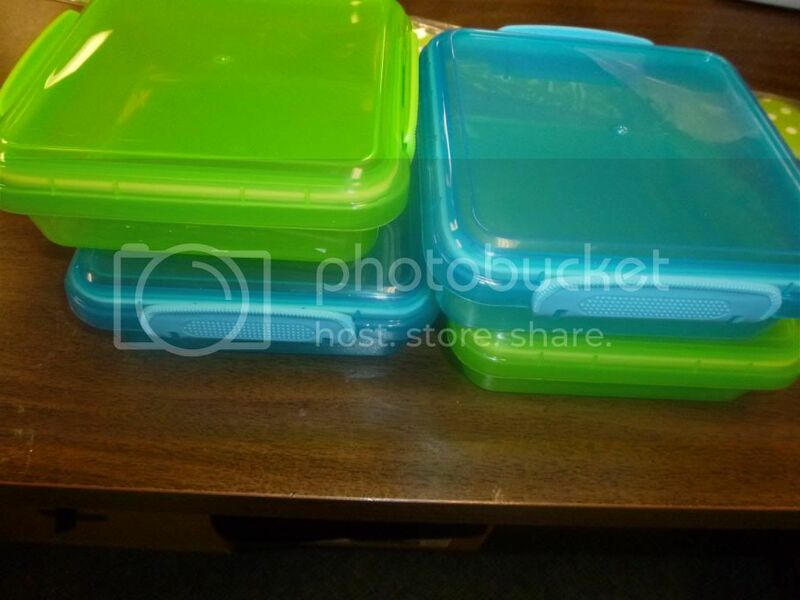 But what I really like are these little food containers that I found at the dollar store, in just the right colors that I will use to hold any little cards or dice or counters needed for the activity! 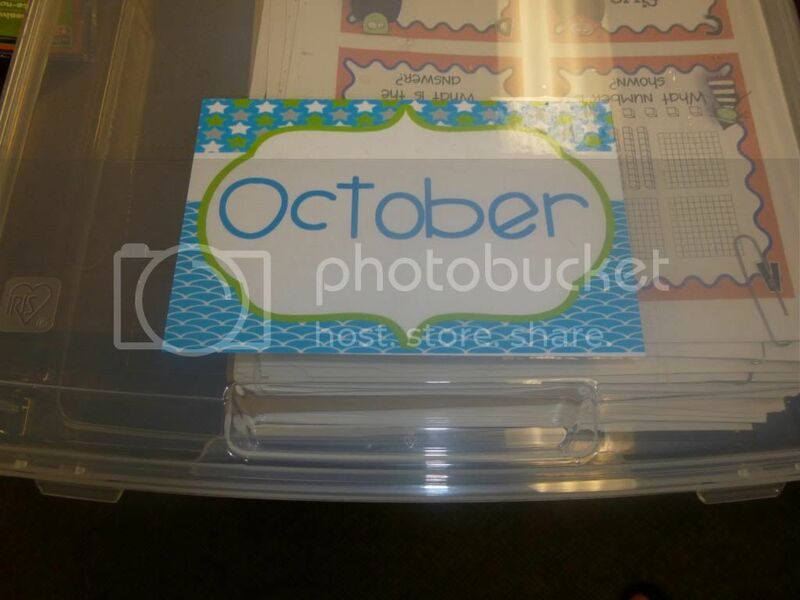 Put the lid on them and it is perfect for storing and easy for the students to use. 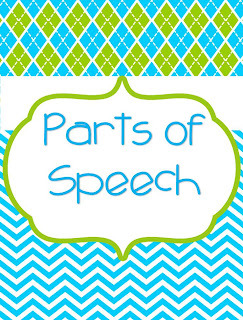 Sorry for the super long post but I am just loving all the things I made to help organize my classroom for next year. 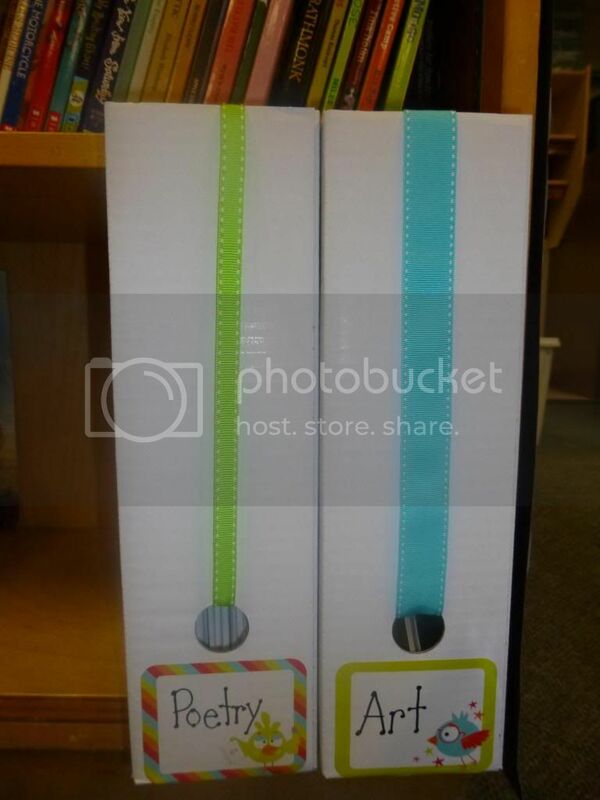 Love the ribbons on the magazine holders. I buy them every year. 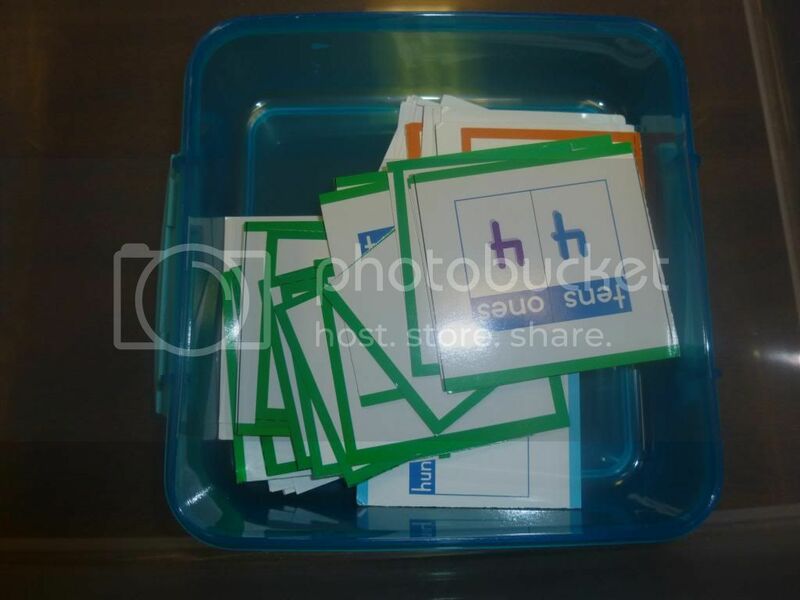 Last year I used stickers. Maybe I will look for some ribbon this year. I need to get over there before they sell out since I need them for 2 classes! Wow! You've been really busy. I really like the bins. Where did you find those? 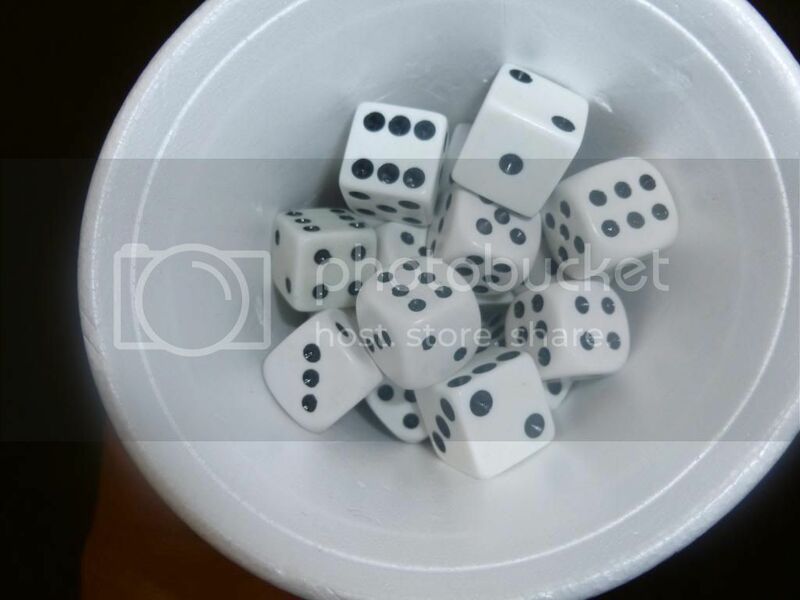 I am going to have to hit up the Dollar Store - great idea for storing dice! Ooooh... 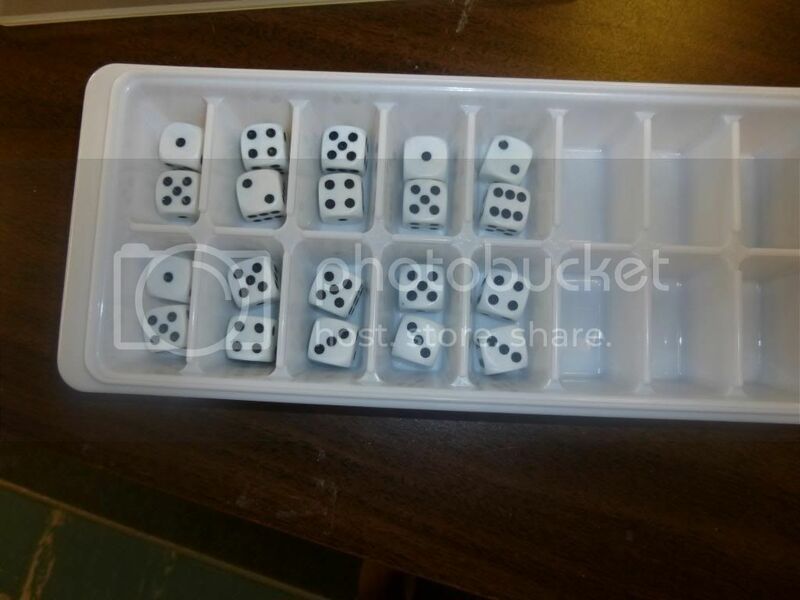 I love the ice cube tray to store the dice! What a great idea! CUTE! My colors are blue and green too! Love the ribbon on the magazine holders. I really like your color scheme! Those colors work so well together. 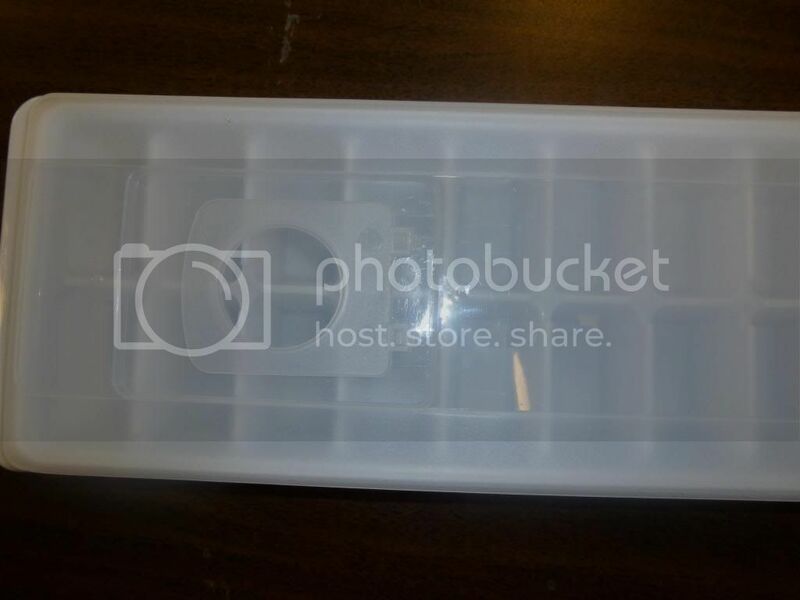 I love the idea of storing dice in an ice cube tray! Great idea! 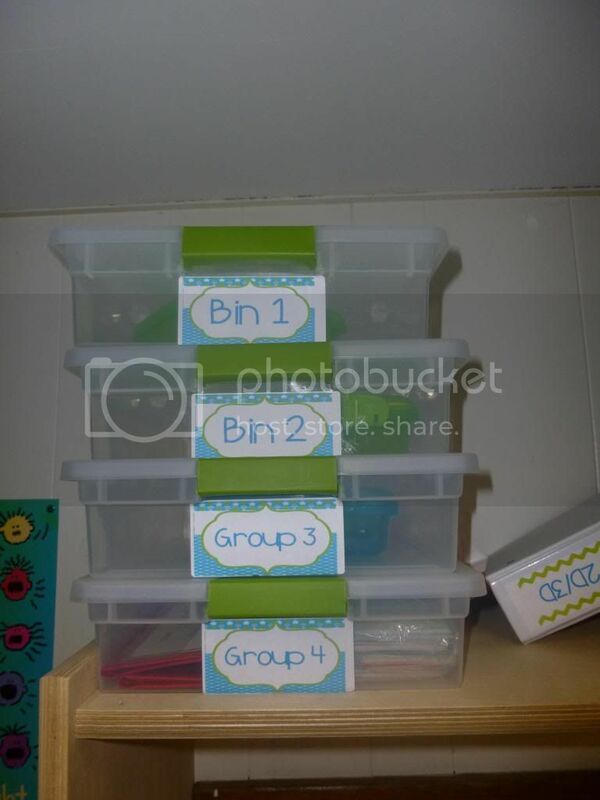 Love all your bins! And, as soon as I get home I'm buying that ice cube tray with lid! I can't believe I've never seen that! Thanks for the tip! Love the color scheme! The ribbon in the box is super cute! 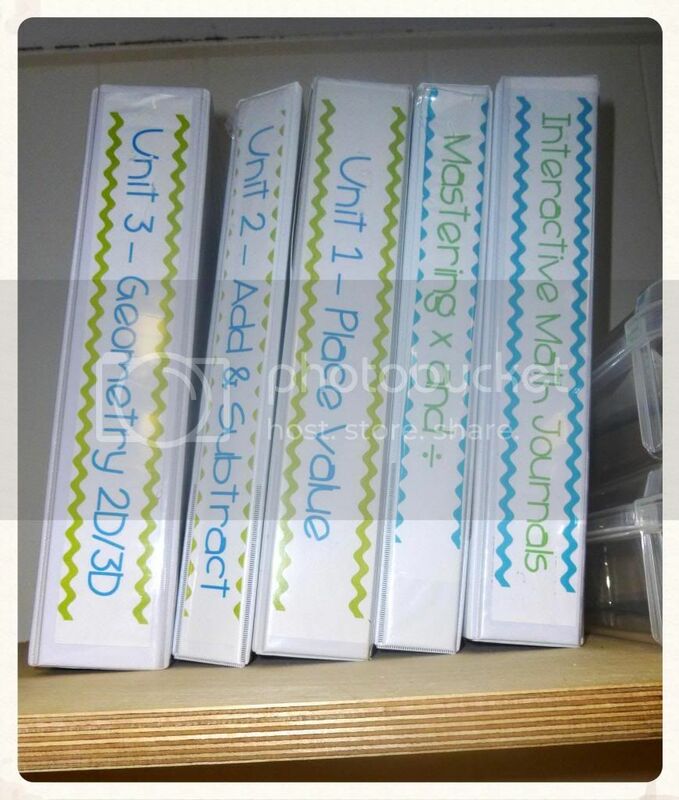 I went to binders for all of my math units and am so glad I did. It's nice having everything in one place with no need for a filing cabinet! Yours turned out adorable and I love the dice tray! Creative! When I saw your picture of the Monday, Tuesday, Wednesday, etc. buckets, I had to scroll back up because that looks very similar to something that I have. 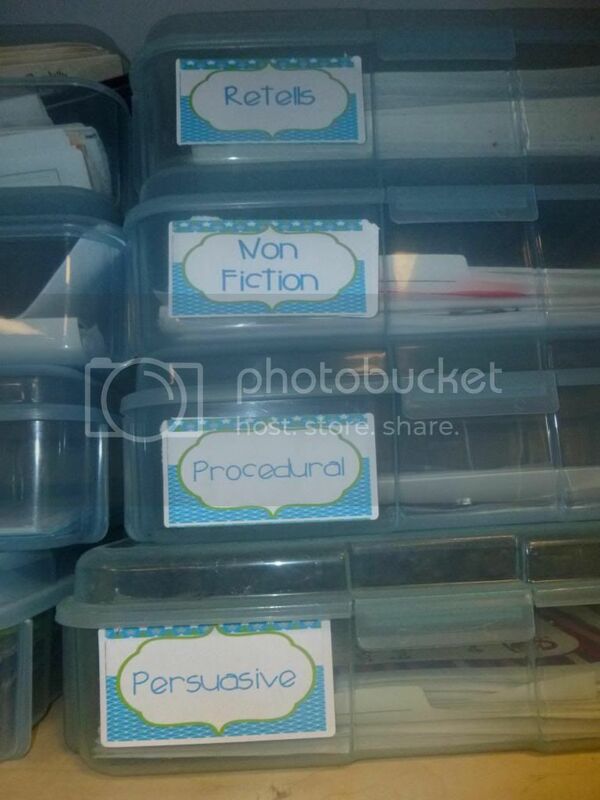 Looks great and organized!